German educationist; born at Hamburg Nov. 16, 1815; died Jan. 13, 1891. He was educated at Kiel, during which time he wrote two works, "Wanderungen cines Mitgenossen auf dem Gebiete der Ethik" and "Ueber die Pflicht." 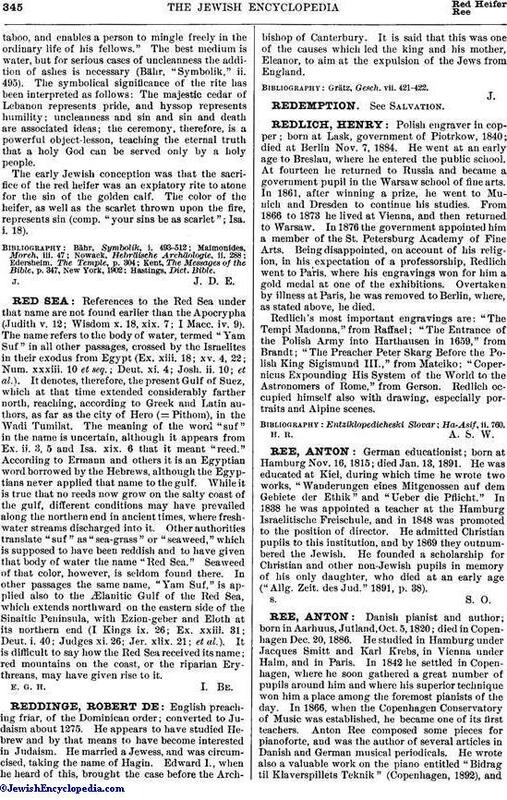 In 1838 he was appointed a teacher at the Hamburg Israelitische Freischule, and in 1848 was promoted to the position of director. He admitted Christian pupils to this institution, and by 1869 they outnumbered the Jewish. He founded a scholarship for Christian and other non-Jewish pupils in memory of his only daughter, who died at an early age ("Allg. Zeit. des Jud." 1891, p. 38).